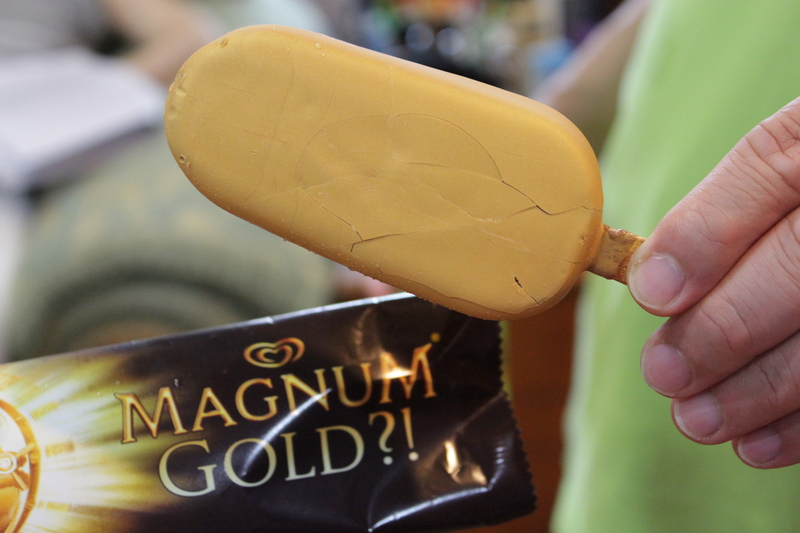 I must confess that I never had magnums before in my life and prior to the extensive advertising of magnum gold, I was never aware of their existence. Out of curiosty’s sake, I told dad I was interested to try it and he bought it for me on the way home ( i have the best dad ever :D). 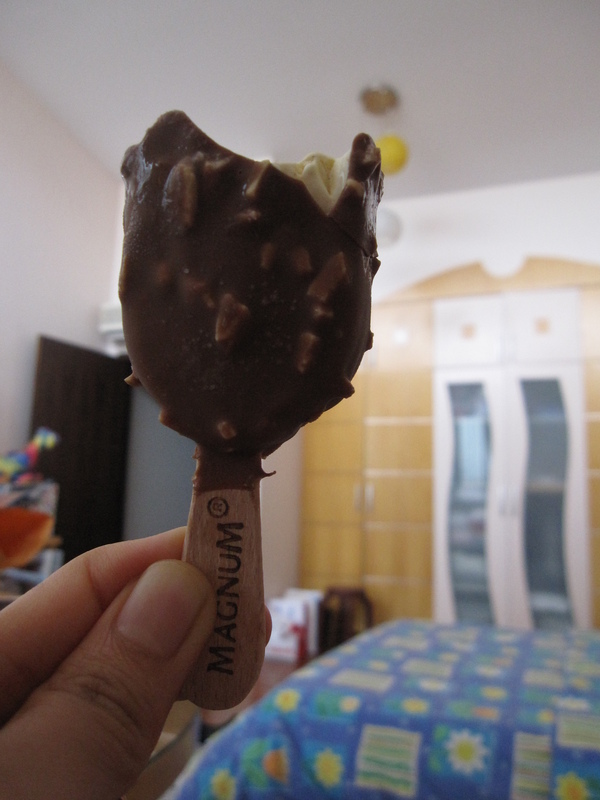 But the same cannot be said for the adorable little Magnum minis sold in cartons. The above is milk chocolate and almond, which i rate second best after my all time favourite double caramel. The double caramel deserves special mention because of the crunchy paper-thin double layer chocolate ( you literally hear the ‘crrack’ sound) with a lusciously rich caramel layer in between. 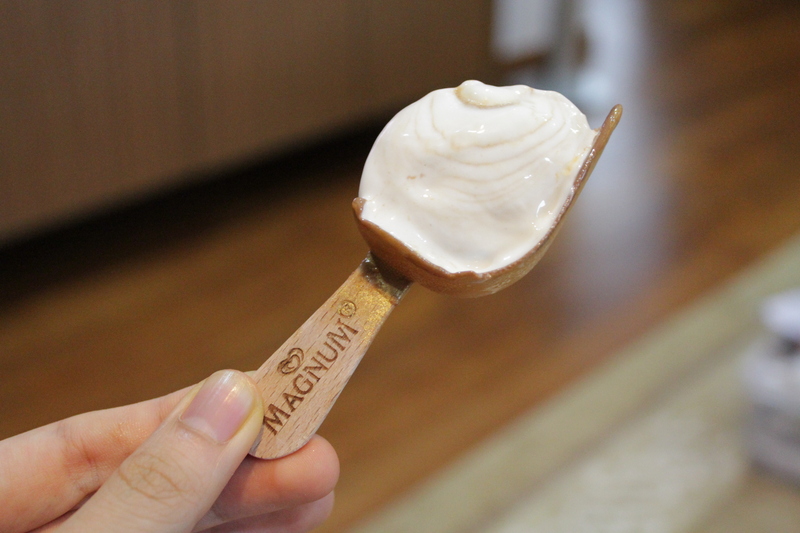 And in defence of magnum ice-cream, I actually saw vanilla specks in the vanilla ice cream.